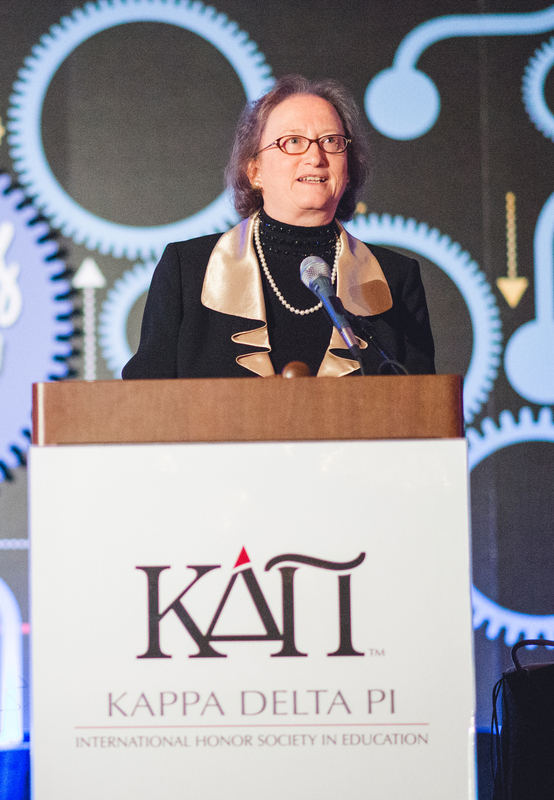 Dr. Mary C. Clement is the current Counselor of the Berry College Rho Upsilon Chapter, and she served as the international KDP President for 2012–2014. Her wonderful mentor is Dr. Mary E. Outlaw. Dr. Clement has recently taken the reigns of the chapter and has offered this reflection on her transition experience. With my first initiation of new members complete, I can breathe a sigh and reflect on how lucky I was to have inherited such a strong KDP chapter on my campus. More importantly, I realize how fortunate I was that the long-time former counselor took me under her tutelage before she actually retired. Our transfer of former counselor to new counselor has been such a positive experience that I want to share the example for others. The KDP chapter at my college was led for more than 20 years by one counselor with a remarkable record. She began the tradition of inviting the State Teacher of the Year to speak on campus, oversaw a dynamic Literacy Alive! program that paired education majors with student athletes to read and donate books to local schools, and kept strong numbers of new initiates every year. During her last 2 years on campus, she took a tiered retirement and worked half-time. During her half-time work, I became the co-counselor and began participating more fully with the chapter. Since I already was quite familiar about Kappa Delta Pi as an organization from my work on the Executive Council, we focused on what I needed to know about being the counselor of a student group on our campus. I needed to learn about how student organization budgets worked, how to get bills paid, and how to work with the registrar’s office to obtain lists of eligible undergraduate and graduate students. In other words, I needed to learn with whom to network when I needed something, such as catering for the induction ceremonies. In the final semester of our co-counselorship, I took the lead, but still turned to her for advice and answers to my questions. 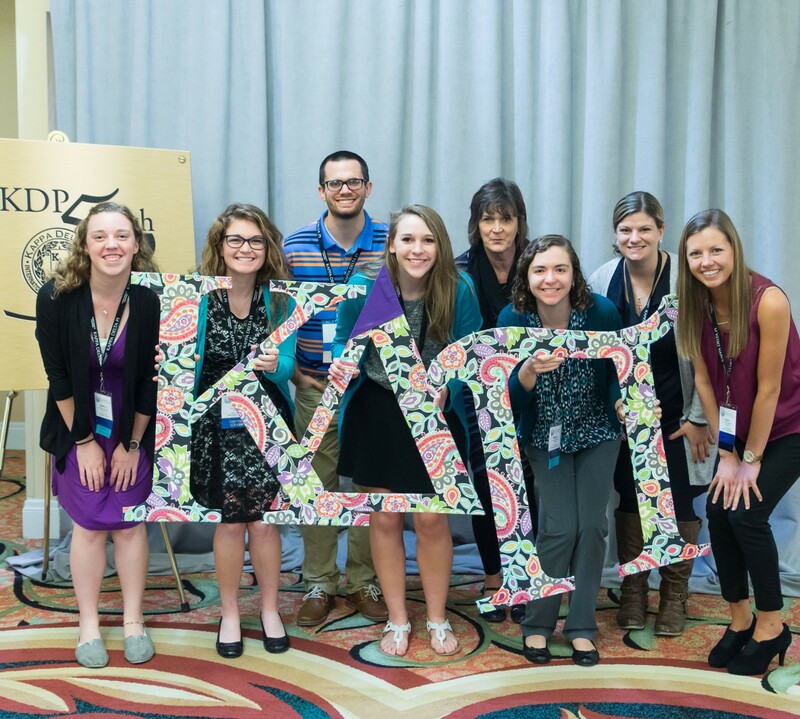 While Kappa Delta Pi recognizes how hard our dedicated chapter counselors work, we may need to add one more job to their volunteer job description. That job would be to mentor the new counselor during a transition time. The nuances of the counselor’s job are different on every campus, and learning the ropes from the outgoing counselor is very helpful to the incoming one. Now, all that’s left is for me to get my final report to Headquarters in a timely manner. Thank goodness my mentor counselor left a file!